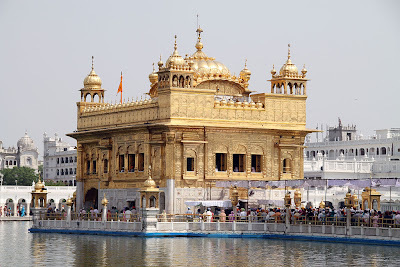 Golden Temple in Amritsar is the largest Gurudwara in India. 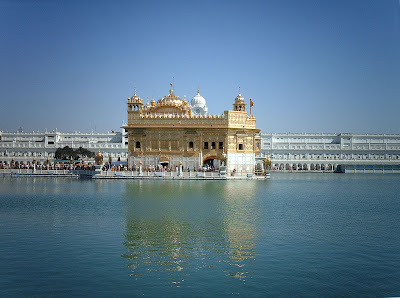 In fact, Golden Temple is the largest Gurudwara in the world. 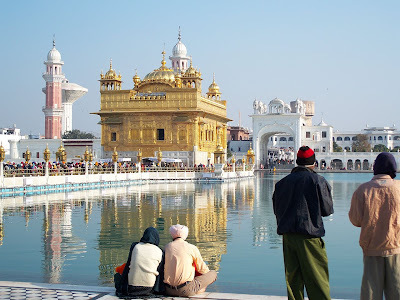 Golden Temple is also known as Harminder Sahib and is considered to be the most sacred shrine of Sikhs. Golden Temple was built during the leadership of the fifth guru, Guru Arjan Dev (1581-1606). 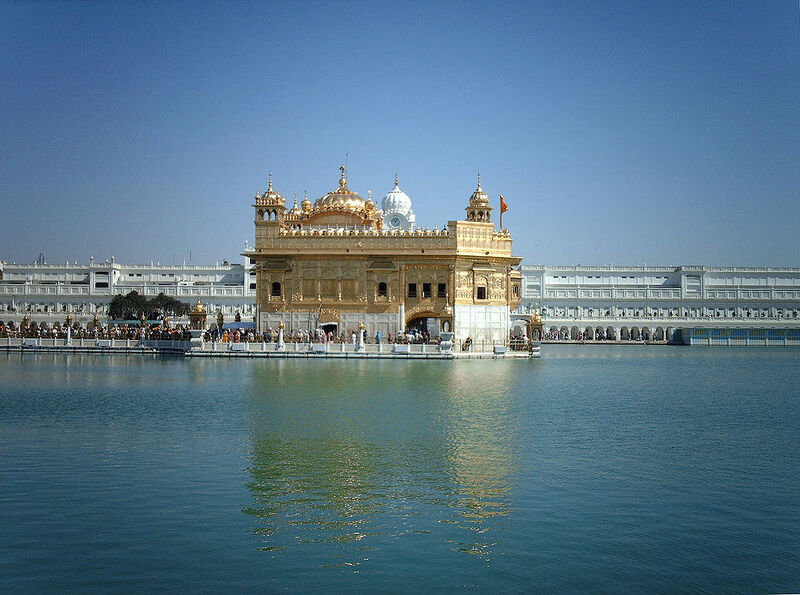 The temple construction was started in 1588 and was completed in 1601. 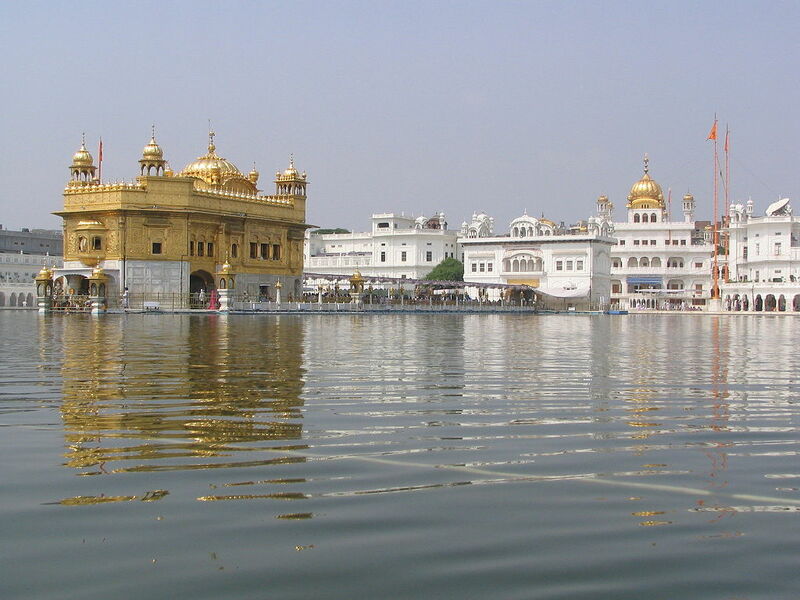 Golden Temple is surrounded by a small pond of water, known as the Sarovar which consists of Amrit (Holy Water). 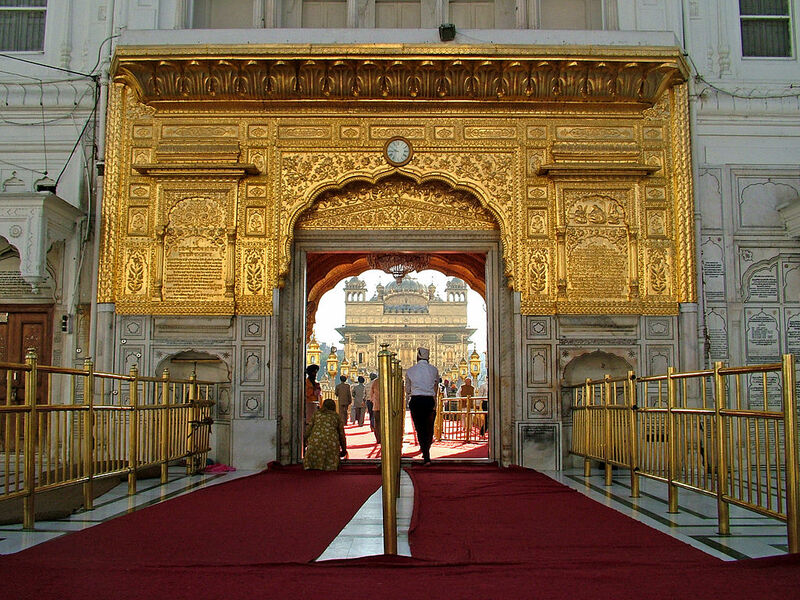 There temple has four entrances, signifying the importance of acceptance and openness. All devotees are expected to cover their heads as a sign of respect and wash their feet in the small pool of water as they enter the Golden Temple. Drinking alcohol, eating meat, and smoking cigarettes is prohibited in the temple premises. 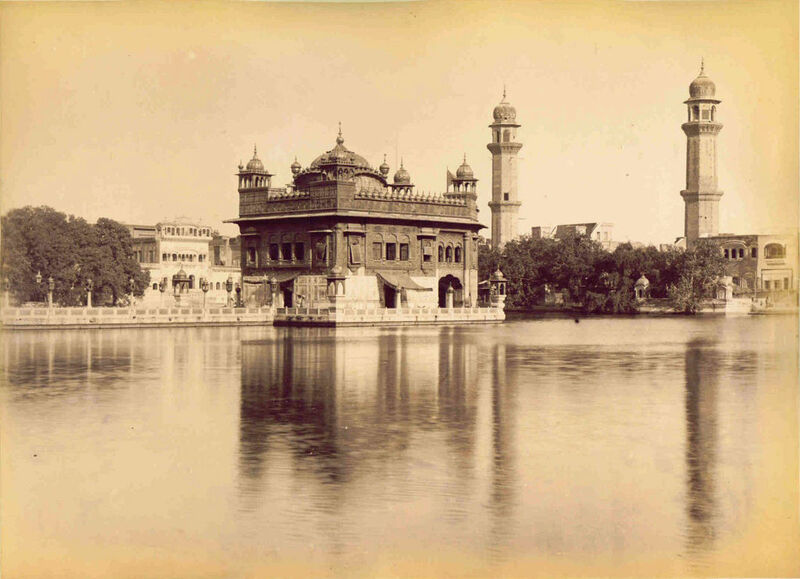 The present day Golden Temple was rebuilt in 1764 by Maharaja Jassa Singh Ahluwalia (1718-1783) with the help of other Misl Sikh chieftains. It was more beautified with adding more architecture. 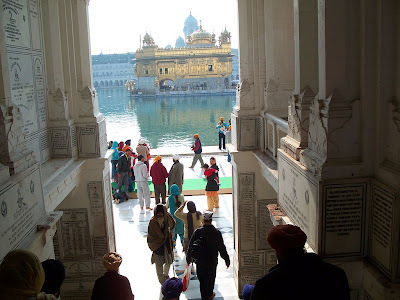 Between 1802-1830 Ranjit Singh did the sewa of gold plating the Temple and adding marble to it as well, while the interior was decorated with fresco work and gemstones. Originally built in 1574, the site of the temple was surrounded by a small lake in a thin forest. The third of the six grand Mughals, Emperor Akbar, who visited the third Sikh guru, Guru Amar Das, in the neighbouring town of Goindval, was so impressed by the way of life in the town that he gave a jagir (the land and the revenues of several villages in the vicinity) to the guru's daughter Bhani as a gift on her marriage to Bhai Jetha, who later became the fourth Sikh guru, Guru Ram Das. 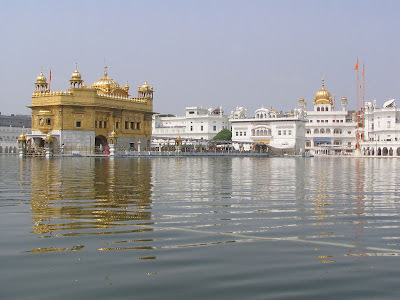 Guru Ram Das enlarged the lake and built a small township around it. 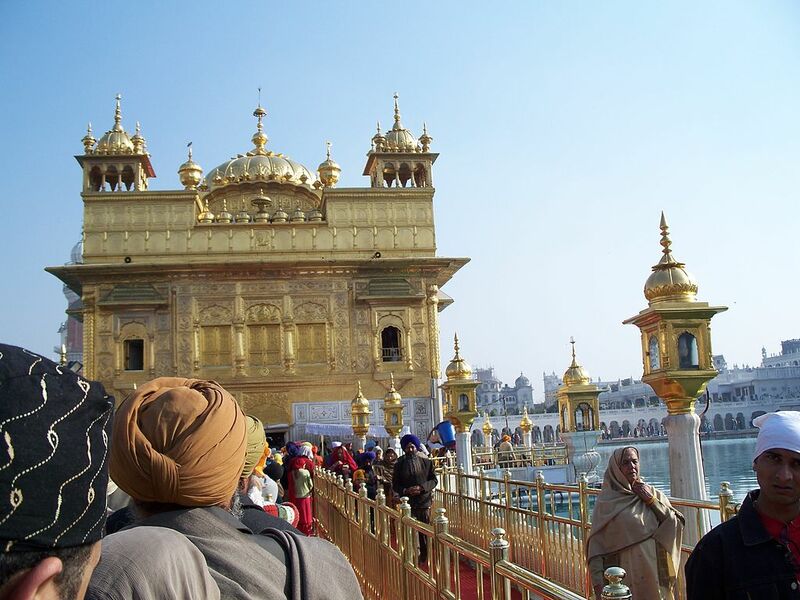 The town was named after Guru Ram Das as Guru Ka Chak', Chak Ram Das or Ram Das Pura. During the leadership of the fifth guru, Guru Arjan Dev (1581–1606), the full-fledged Temple was built. 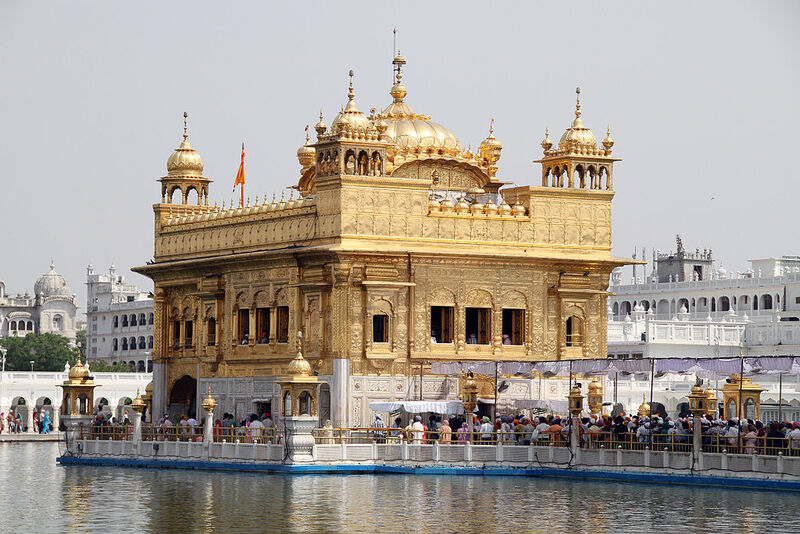 In December 1588, Guru Arjan invited Hazrat Mian Mir, a Muslim Sufi saint from Lahore, to initiate the construction of the temple by laying the first foundation stone (December 1588 CE). Some of the architectural features of the Harmandir Sahib were intended to be symbolic of the Sikh worldview. Instead of the normal custom of building a temple on high land, it was built at a lower level than the surrounding land so worshippers would have to go down steps to enter it. In addition, instead of one entrance, the Harmandir Sahib has four entrances. Hi Beautiful pictures, I would be so lucky if I could purchase a print of one of these pictures! on a 20x30 size the one where you have a large wide view of the GT and the baba budha tree... I live in the usa.